Two local organizations with similar missions of providing life-enriching educational opportunities for Oklahomans have partnered to offer a public preview of an upcoming, ground-breaking PBS series. 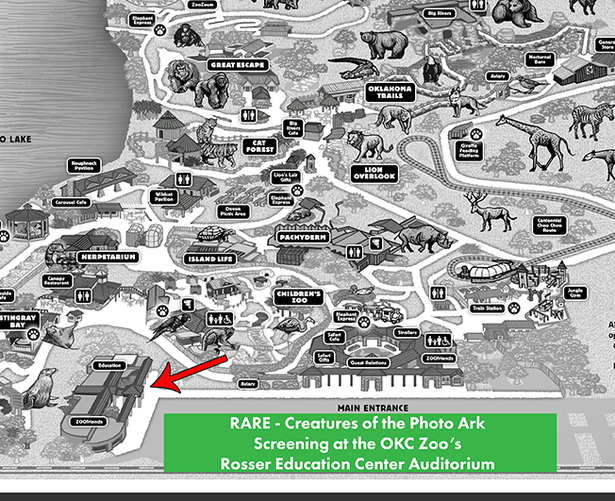 The Oklahoma City Zoo and Botanical Garden, and Oklahoma Educational Television Authority (OETA), are linking arms to provide this “sneak peek” event featuring the innovative work of native Oklahoman and renowned National Geographic photographer Joel Sartore in the new documentary, “Rare: Creatures of the Photo Ark”. Sponsored by the Oklahoma Zoological Society, this free event will be held on Saturday, July 15, from noon to 1:30 p.m. in the Zoo’s Education Center auditorium. Seating is limited and is first come, first serve. In addition to the screening, Sartore will be answering questions from attendees as well as from Facebook Live followers. Sartore will be signing his book, “National Geographic The Photo Ark: One Man’s Quest to Document the World’s Animals” at the Zoo’s Safari Gift Shop after the event. Zoo admission is not included in this event. “We are thrilled to partner with our conservation cheerleaders at OETA to bring the public a glimpse of this spectacular premiere so every person can visually experience these animals on the verge of extinction,” said Greg Heanue, Zoo senior director of marketing and public relations/CMO. The full, three-part series produced by WGBH Boston, will air on OETA Tuesdays, July 18 through August 1 at 8 p.m. The series explores Sartore’s Photo Ark initiative as he travels to photograph some of the most endangered and rarest creatures left in the wild, in zoos and in nature preserves around the world. Throughout RARE, scientists and naturalists reveal surprising and important information about why ensuring the future of these animals is so critical. Through his books and this visually captivating special, Sartore hopes to put a “face” to the names of these endangered animals, build a connection between these animals and the people who can help save them, and bring awareness of and appreciation for their plight in the wild. 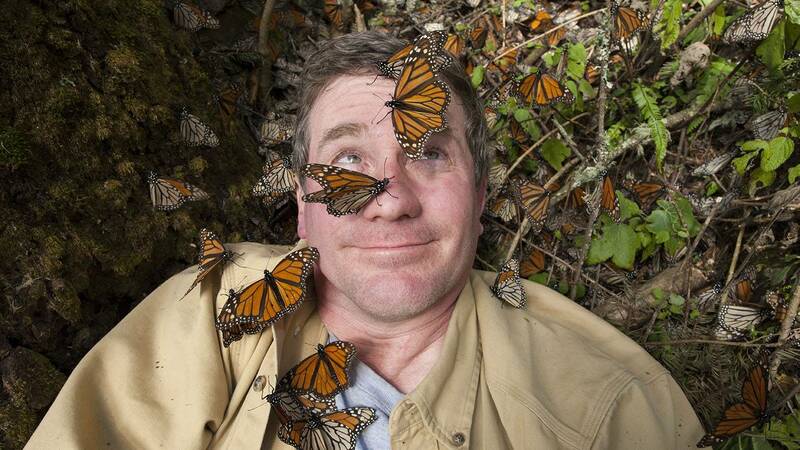 Sartore, born in Ponca City, Oklahoma, has photographed for National Geographic Managain for more than 20 years and is 11 years into his estimated 25-year endeavor to photograph the world’s endangered animals. To date, he has traveled to nearly 40 countries and photographed approximately 6,500 different species, including 576 amphibians, 1,839 birds, 716 fish, 1,123 invertebrates, 896 mammals and 1,245 reptiles. In October 2014, Sartore visited the OKC Zoo in an effort to help reach his goal. The Zoo cares for approximately 50 endangered species and Sartore photographed more than half of them, some of which are included in his one-of-a-kind, photographic collection, The Photo Ark, and his recently published book, which is available for purchase at the Zoo’s Safari Gift Shop. Photo Ark fans can follow Sartore’s adventures at #RarePBS, join the conversation at #SaveTogether and learn more about getting involved with the project at NatGeoPhotoArk.org. RARE: Creatures of the Photo Ark is a production of WGBH Boston and So World Media, LLC in association with National Geographic Channels, and made possible with funding from the Corporation for Public Broadcasting, The Kendeda Fund, the Candis J. Stern Foundation and public television viewers.